Northwest corner from Greenwich Street and Morton Street. 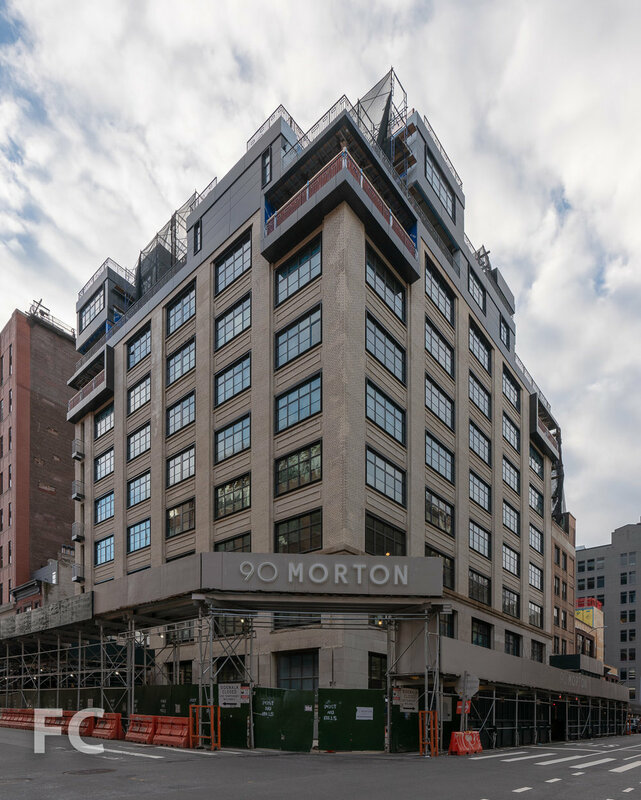 Construction is nearing completion at Brack Capital Real Estate’s 90 Morton, a 12-story residential building in the West Village. The original 8-story structure was built in 1912 and last served as the home of the Hort family printing press from 1972 to 2007. Gottesman Szmelcman Architecture is now leading the renovation of the building which involves the conversion into residential use, including a four story addition atop the original structure. Original elements of the building’s past life, including high ceilings, cast iron columns, and concrete beams have been preserved and feature prominently in the residences. When completed the building will offer 35 residences ranging from two to five bedrooms. Southwest corner from Greenwich Street. 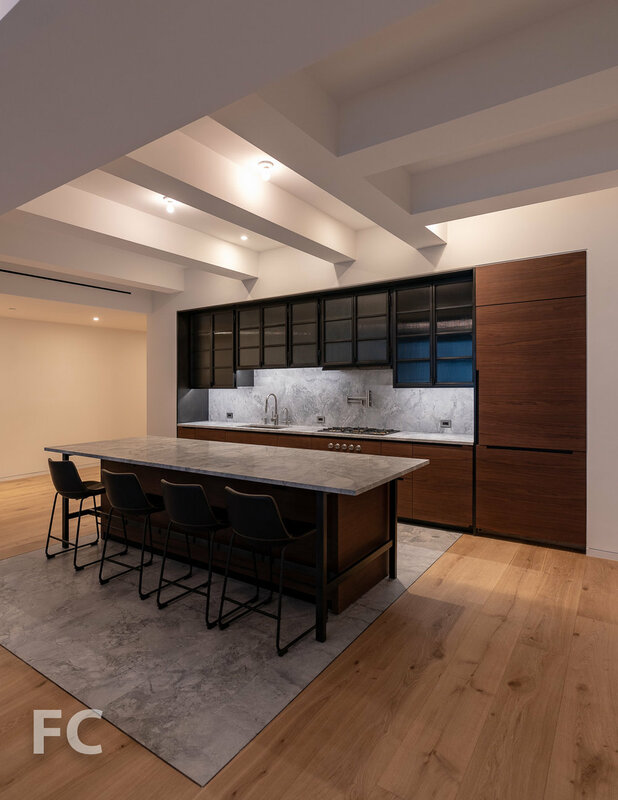 Architect: Gottesman Szmelcman Architecture; Interiors: Leroy Street Studio; Developer: Brack Capital Real Estate; Program: Residential; Location: West Village, New York, NY; Completion: 2019.